Looking for a healthy lunch? 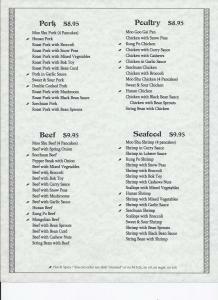 Check out our Healthy Menu Choices for lunch today! 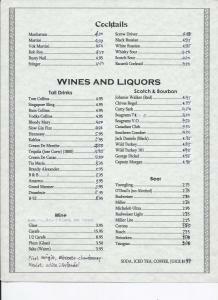 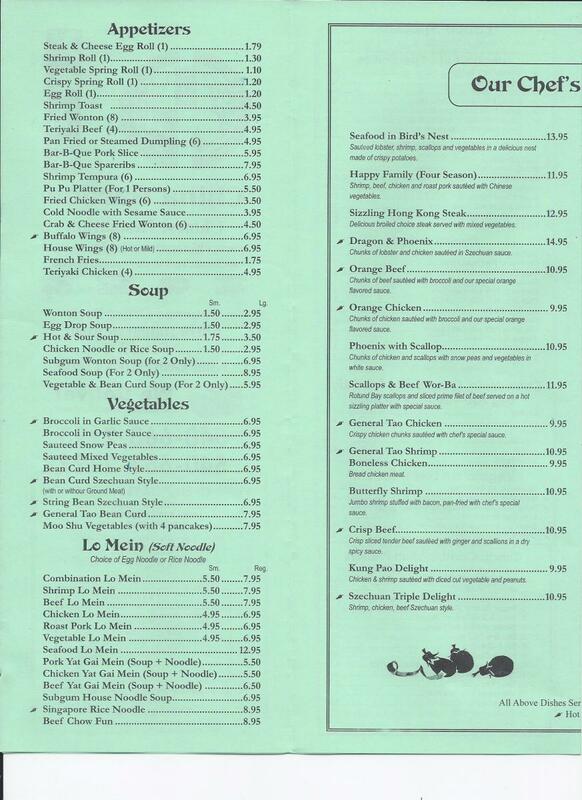 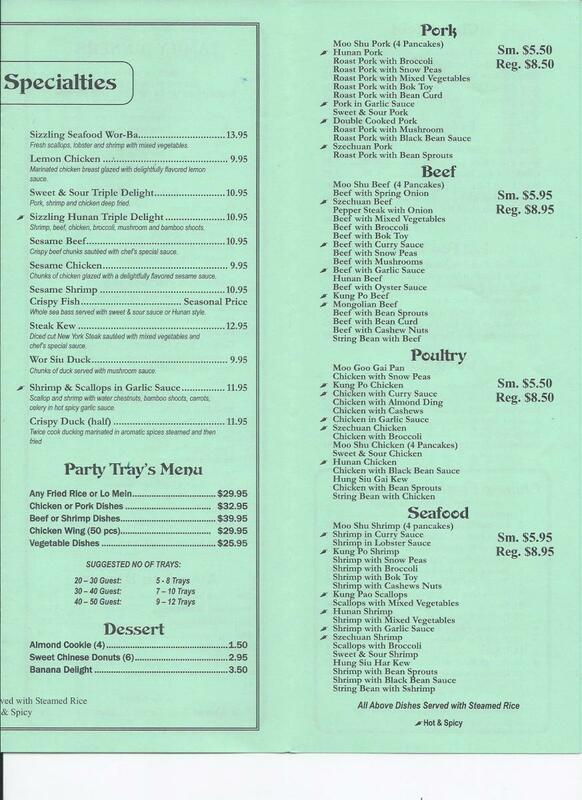 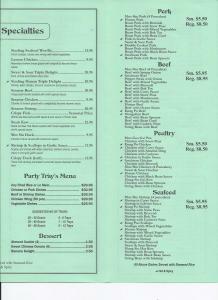 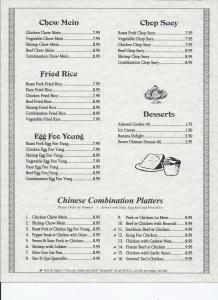 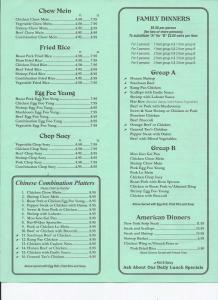 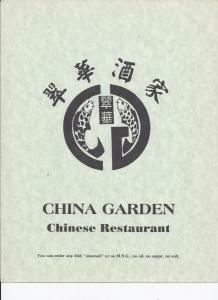 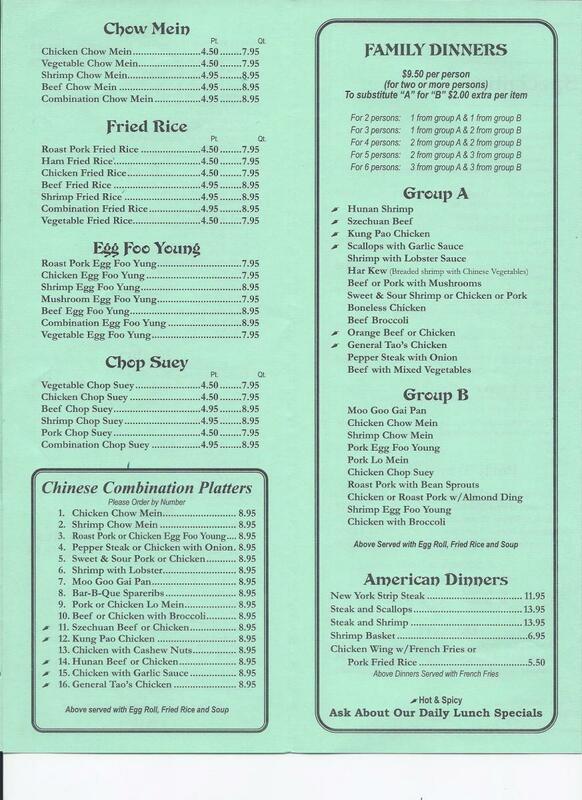 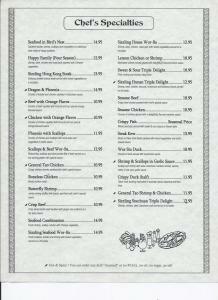 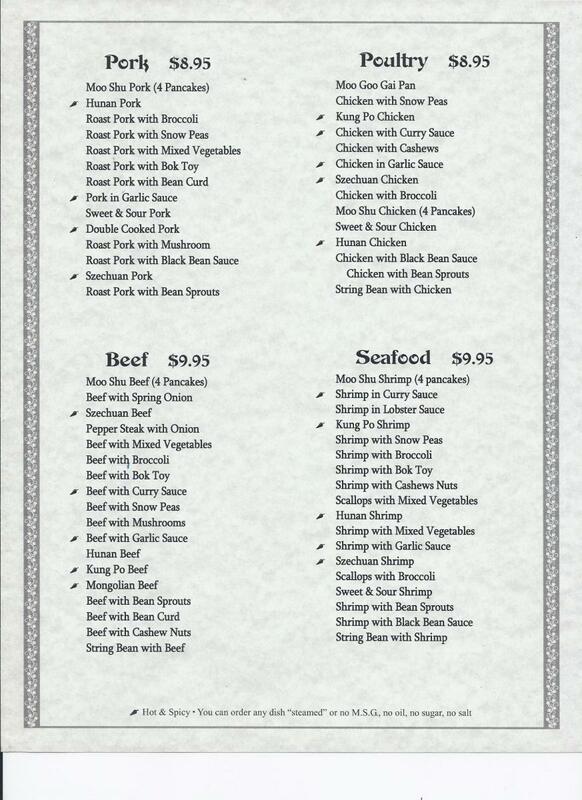 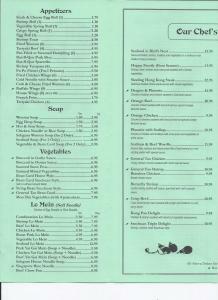 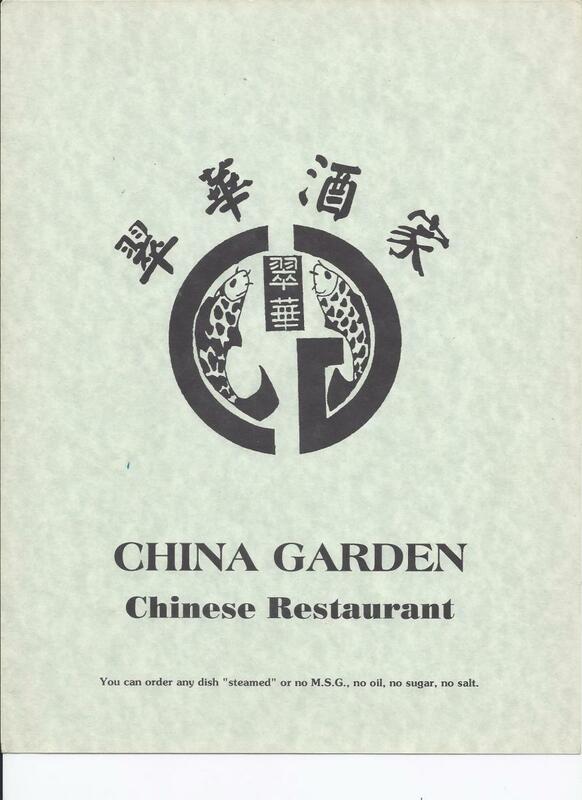 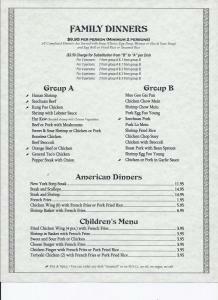 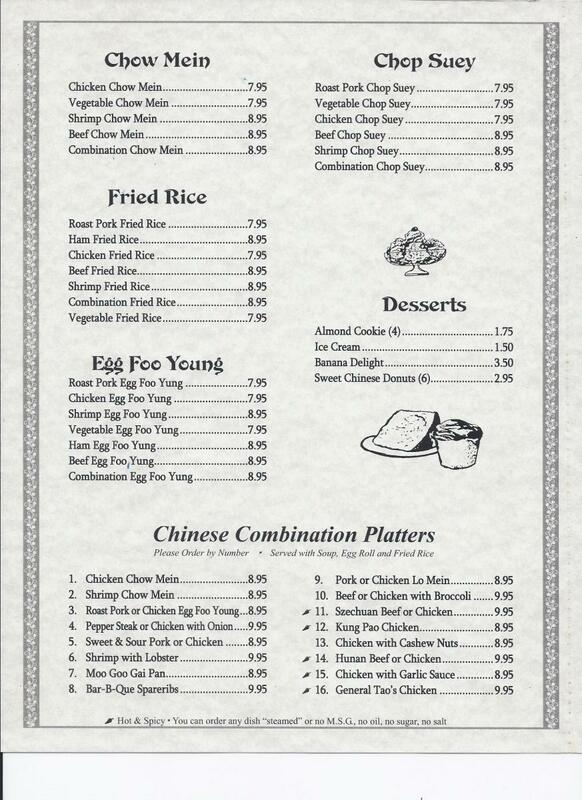 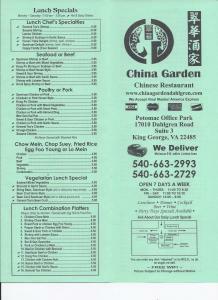 China Garden is a family owned and operated Chinese restaurant on Dahlgren Road in King George, Virginia. 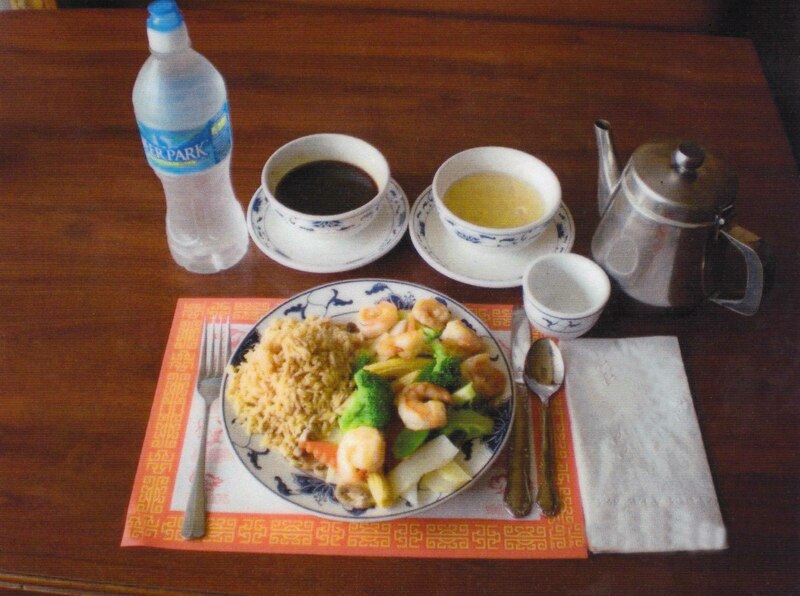 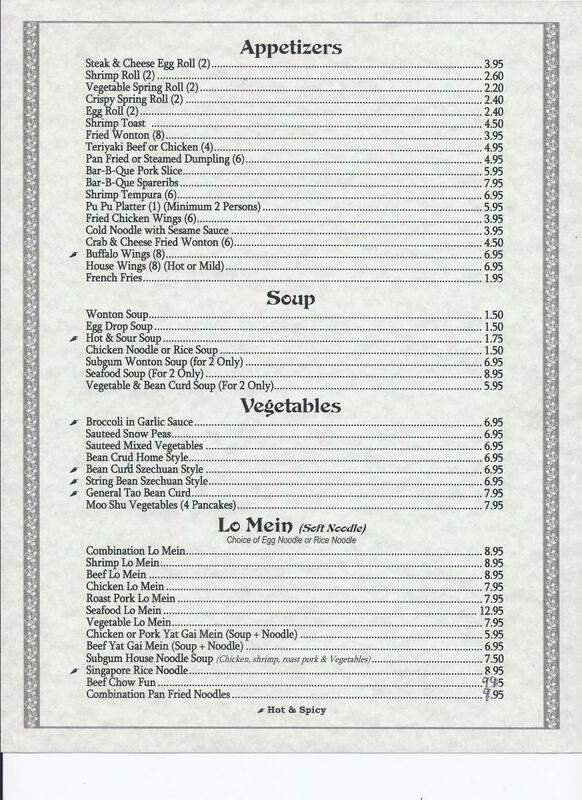 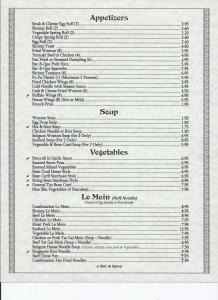 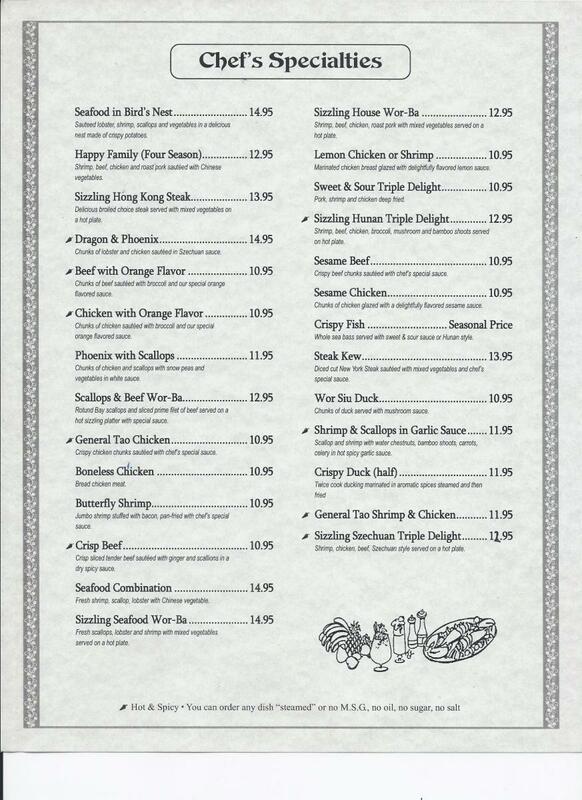 We offer a variety of hand prepared Chinese dishes in a local, friendly atmosphere. 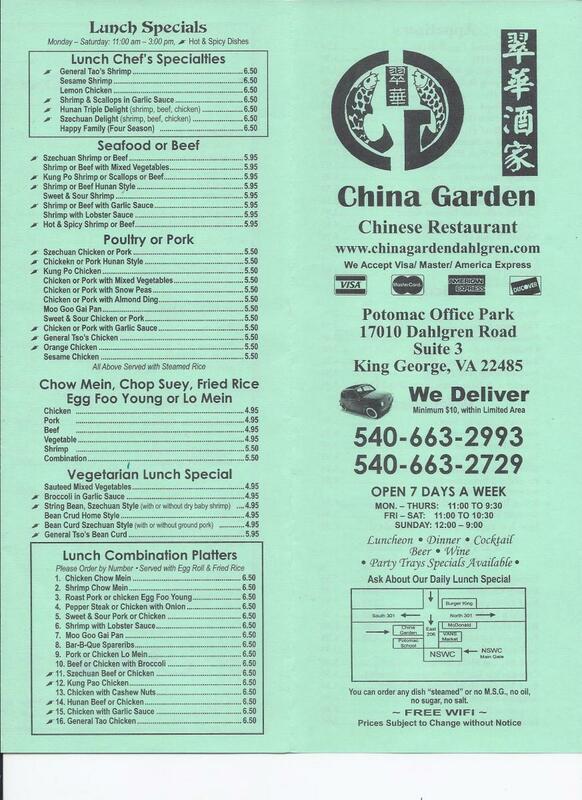 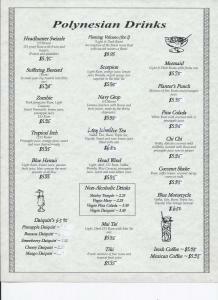 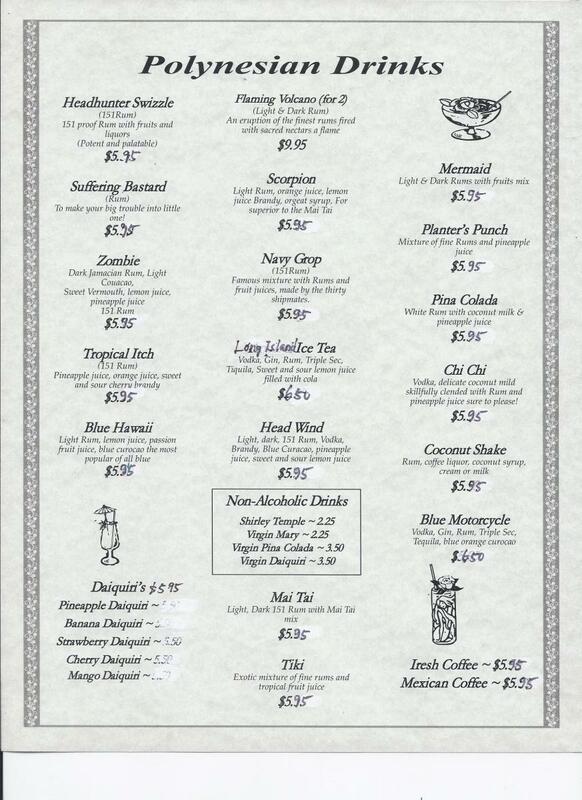  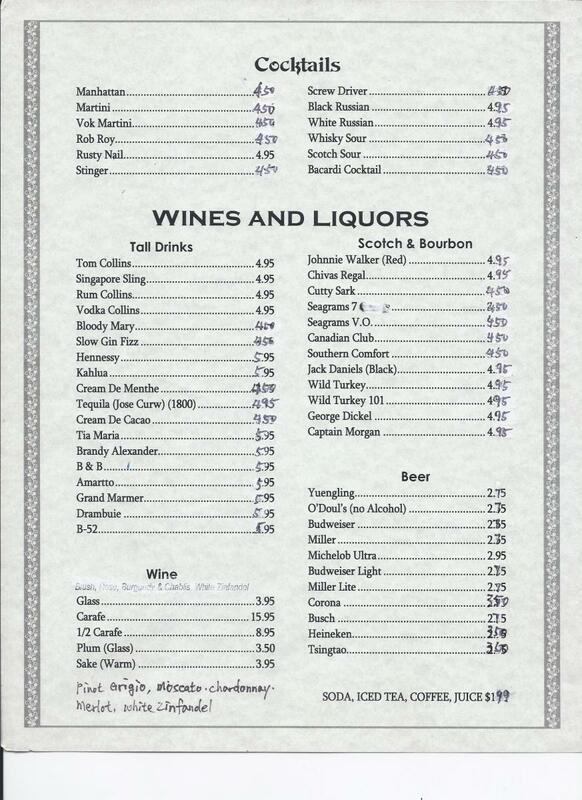 Dine-in, carry-out, and delivery options available. 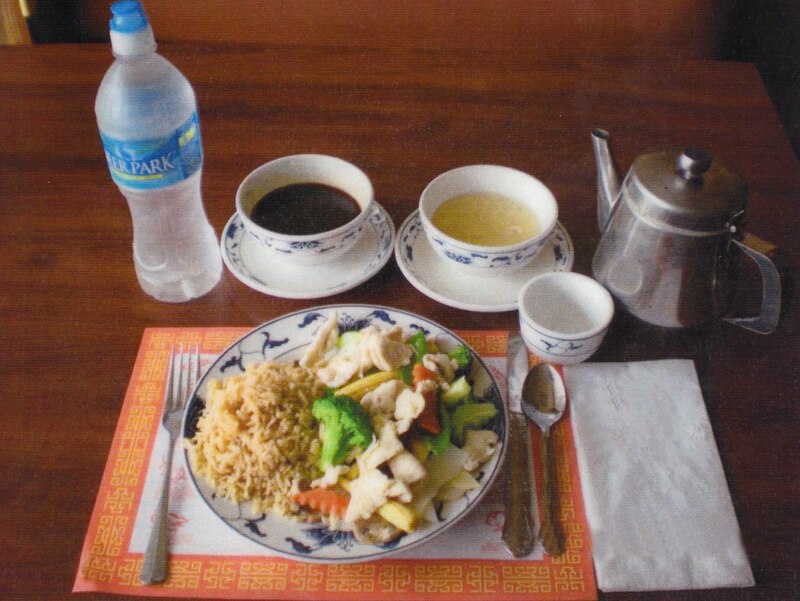 Come in today for a delicious meal!